and high prices of essential commodities are poisoning the very life in Haiti!" Port-au-Prince: After the January 12, 2010, earthquake, life in Haiti has become much more difficult at every level. There are now all sorts of new problems, but especially housing problems for some of our churches and believers in Jacmel, Port-au-Prince and Léogâne. In light of these new problems, the work of our priests in Haiti has become much more complicated. Thanks be to God, despite all of our problems, we have been able to hold on, largely by the many efforts of our beloved Metropolitan Hilarion and those numerous kindhearted donors who have directed their efforts to help us through the Fund for Assistance to the Russian Orthodox Church Outside of Russia. We understand that, more than a year after our horrible earthquake, most of the kind donors who helped us then have helped to the greatest degree they can. This is why we are putting our hope in the continued operation of the "Haiti Orthodox Family Relief" Program (HOFR) which was established with the blessing of our Metropolitan Hilarion one year ago. 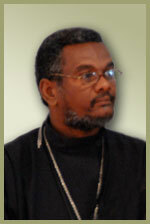 You can visit the website online at: http://www.haitiorthodoxfamilyrelief.com. Thanks to this financial assistance program, the quality of life of some of our readers and some needy families in ROCOR’s Haiti Mission has improved significantly. It is our heartfelt hope before God that our kind faithful might continue to accept "sponsorship" of our needy, and we especially hope and pray that the sponsorships whose one-year commitment to help is soon due to expire will please consider extending their help into the future. May God grant this! All of our parishes continue their activities. Every three months all of the readers gather in Port-au-Prince for instructional meetings, and Deacon Demetrio Romeo from Florida has agreed to come and assist with liturgics discussions at these meetings when possible. Our four Mission schools are still actively working, despite numerous difficulties. Cholera continues to claim victims, having already killed over 3,000 Haitians. We thank God for the Fund for Assistance and Priest Matthew Williams’ timely efforts for shipping medical supplies and medical personnel to the Mission. It was a great help; none of our parishioners have died from cholera. We continue to educate our people and our students about the disease, but that does not lessen the ever-present danger posed by unsafe water, especially in the parishes of St. Augustine in Jacmel, and St. Irenaeus of Lyons in Maïssade. We badly need a mobile water purification device that would conceivably be used by several of our parishes. May God grant this! As you know, "The most important thing in the life of a parish is the divine services." So said our beloved Metropolitan Laurus of blessed memory. To improve our divine services, we are eagerly anticipating a proposed plan to send five of our most qualified readers to prepare for the priesthood at the new Moscow Patriarchate seminary in Paris in October of this year! A special three-year program, free of charge, has been established for Haiti, as a great kindness to us for our special urgent needs. These young men have their documents in order for travel. We are hoping that the Fund for Assistance will be able to help with the cost of the airfare to Paris for our students, since this cost was not included in the MP’s offer for assistance. We are happy and joyful to be a part of the Russian Church Abroad! We may be the poorest nation in the Western World, but we are rich under the omophorion of the Most Holy Mother of God and the Holy Russian Orthodox Church! Finally, we have compiled the attached information chart showing the locations of our parishes and some of the work done by the FFA and HOFR programs in meeting the needs of the Haiti Mission. Please help us. PS: Working with the blessing of Met. Hilarion, Deacon Demetrio Romeo and Dr. Chad Husby, Ph.D., both from Miami and working as assistants to the Haiti Mission and the HOFR program, have initiated a very promising agricultural program for our Mission parishes in Haiti. Their full report on this effort will be forthcoming soon. PPS: Fr. Demetrio is preparing a report and film clips of his visit to Haiti three weeks ago. Included in his work are short interviews with some of our HOFR sponsored readers and families. We are hoping that our sponsors will now be able to see and hear a few words from the people they have been helping in Haiti. Fr. Demetrio will be doing more work along these lines in the future for the Mission, God willing. Assist the suffering Orthodox faithful in Haiti! The orphans at the Bethany School for Girls needed a van, and you said "Yes!"